Last weekend, game makers from around the world busted their bums to create amazing new games in just 48 hours as part of Global Game Jam (GGJ). Thanks to the efforts of Let’s Make Games, we had another great Perth contingent, with over 20 brand new local games being created. Lucky for everyone, Playup Perth has partnered with SK and Let’s Make Games to present an evening of GGJ talks and games so that everyone has a chance to play the very latest Perth games, and meet the folks behind them. It’s going to be an amazing night. Oh, and a bit of housekeeping — you can also see the dates and book tickets for all future Playup Perth events here (for Fridays) and here (for Saturdays) up until August. 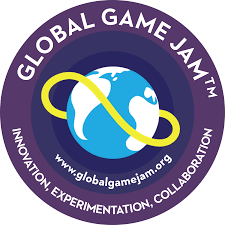 Brand new games from Global Game Jam Perth – a full list will be added soon!